Bikini Baker: Plum Paper Designs Life Planner and Bonus Discount Code! Plum Paper Designs Life Planner and Bonus Discount Code! 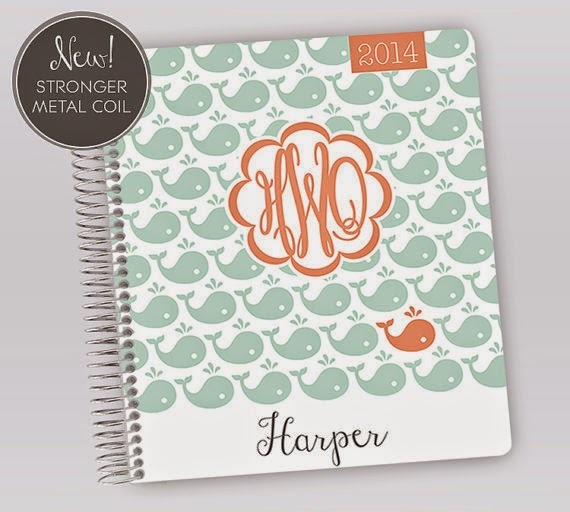 So I know Erin Condren's life planners were all the rage not too long ago. I thought about buying one, but I couldn't bring myself to spend over $50 on a planner, no matter how detailed and customizable it is. Thrifty shopper I am, I found Plum Paper Designs! ...but also weekly spreads that I chose to divide by morning, afternoon, evening. That works perfectly for mapping out my day between school, my internship, work, and social activities. However, you can choose to have your weekly spreads divided by 30 minute appointments or just blank lines. So whatever your day consists of, Plum Paper has you covered. You MUST go check out Plum Paper now and order your life planner! I don't know what I would do without mine. Here's another example of an adorable cover design from their online shop.